Welcome to a new era in precision, productivity and portability. GE’s Mentor Visual iQ Video Borescope with 3D Measurement puts the power of state-of-the-art point cloud measurement and analysis in your hands. Mentor Visual iQ delivers processing capability you need to speed inspections and increase probability of detection - all in a portable yet rugged design. With InspectionWorks Connect, inspectors can collaborate in real time, providing expertise anywhere in the world. GE's Mentor Visual iQ Video Borescope is available in three customized platform configurations to meet inspection needs across industries and applications. Mentor Visual iQ Analyze - Sets the industry standard with on-demand 3D Phased Measurement and analysis software combined with extreme image quality for increased Probability of Detection (PoD). Combines advanced processing capabilities with all the features of the Mentor Visual iQ Touch platform. 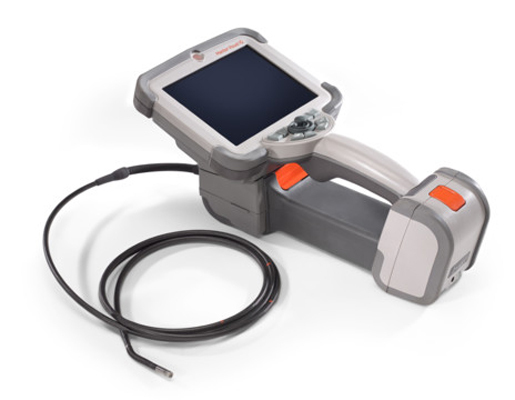 Mentor Visual iQ Touch – A highly capable borescope designed for extreme inspection productivity with Quick Change(TM) probes, touch-screen interface, on-device workflow management and reporting, and 16GB of internal memory. World class versatility combined with all the features of the Mentor Visual iQ Inspect platform. 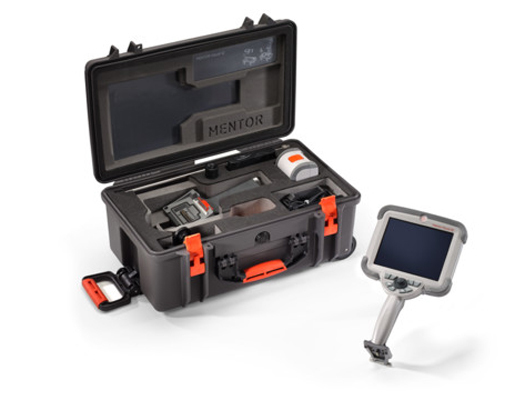 Mentor Visual iQ Inspect – A value priced inspection offering with best-in-class image quality, streamlined user interface and Wi-Fi and Bluetooth connectivity. Each Mentor Visual iQ configuration can be upgraded in the future. In addition, the Touch and Inspect configurations can be upgraded with a-la-carte Measurement and Probability of Detection (PoD) software. NEW! Now available with optional upgrade to 3D Stereo Measurement for the 4.0, 6.1 and 8.4mm probes. Download our Video Probe 3D Measurement Handbook for more information. Mentor Visual iQ stands up to tough inspection environments, designed to IP65, MIL-STD-810G and MIL-STD-461F standards.